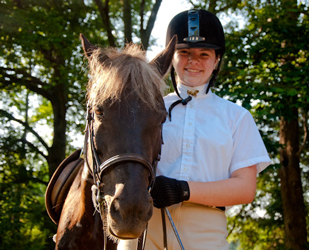 Horseback Riding Lessons and school programs run on a quarterly schedule. Classes are held on the same day and time each week throughout the quarter. Start Anytime! - new classes are started throughout each quarter ( fees prorated accordingly). - Flexible Summer QTR Schedule availalble. flexible payment option! ~ $150/mo. Step #2 we will contact you regarding available class days/times that martch your available schedule.